If you haven’t been waxed before you probably have a few questions or common misconceptions. Here I try to answer most of them. Before you come for your waxing treatment please do not shave or trim your hair (the area you want waxed). In order for the wax to grip the hair it needs to be around 5 – 6mm in length. Some other dont’s to be aware of, don’t have a fake tan for a few days before (or after), don’t come straight from a hot shower. Waxing is a very safe treatment however it cannot be done where there is sun burn, varicose veins, skin diseases, cuts and abrasions, chaffed or broken skin, warts or hairy moles. If you suffer from oversensitive skin, peripheral artery disease, peripheral neuropathy or diabetes you should consult your G.P or a health professional before being waxed. Skin that has been treated with steroid creams, Retin-A, Differin or other retinoid acne products within the last 3 months cannot be waxed. Those who are or have been taking Roaccutane must wait at least 6 months after finishing the course before a waxing treatment. First of all any questions you may have about the treatment are answered. 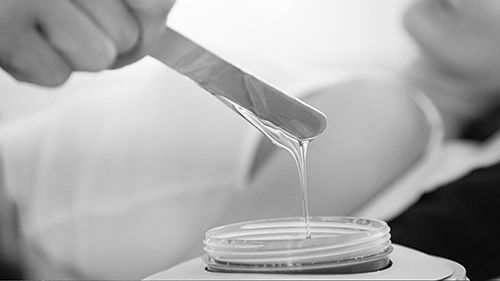 Then we will go through a consultation process to ascertain areas to be waxed, and to ensure no problems that may mean that area isn’t suitable for waxing. 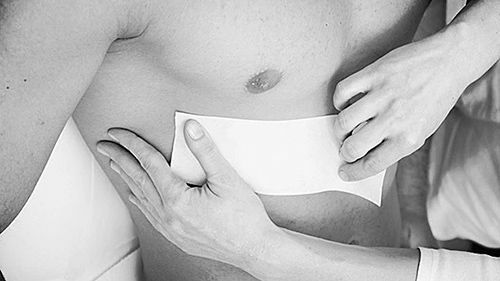 Once on the massage table the area to be waxed is cleansed with a pre-wax lotion, then warm wax is applied to the area, a paper strip pressed down and then quickly removed – its no worse then pulling a plaster off. The wax grips the hairs and when removed pulls them away with it. This is repeated across the area to be treated and once complete a soothing tea-tree lotion is applied to help calm the skin.After your treatment, there are steps you can take to look after your skin.